Just like you should know your blood type, you should also understand what your blood pressure is at its normal rate. If you know about naturopathic medicine, you know that what we encourage is for you to have knowledge about your own body so that you can be aware of when things are not right. As a naturopathic doctor, I always try to help my clients understand what is healthy, so that they can make good choices about their wellness. Blood pressure is an important component in understanding your health, so let’s talk about it. What Does Blood Pressure Mean? When doctors take your blood pressure, what they are measuring is the pressure in your blood vessels – however, this requires two separate measurements: systolic (the ‘top’ number) and diastolic (the ‘bottom’ number). More on those in a moment. Being hypotensive describes when your blood pressure is low; being hypertensive is when your blood pressure is too high, which is absolutely the more common of the two. These next 4 symptoms suggest extreme hypotension, which means you should call 911. Now that we know what it looks like, let’s look at how to measure it. When your heart beats, it contracts, pushing blood through your arteries; systolic blood pressure is the measurement of the pressure in your blood vessels while the heart is contracting. A normal, healthy person has a systolic pressure below 120, and hypertension is when it is elevated beyond that, up to 140 or more. If you measure your blood pressure and the systolic is 180, that qualifies as a hypertensive crisis, and you should seek immediate medical attention. The second, bottom number is the diastolic blood pressure, which measures the pressure in your arteries in the pause between heartbeats. Normal diastolic readings are lower than 80, but if your systolic is still reading over 120, then you are nevertheless considered to have elevated blood pressure. If your diastolic blood pressure is above 80, you are hypertensive. 120 is considered a hypertensive crisis; call 911 immediately. To measure your blood pressure, professionals will either use a machine or a cuff and stethoscope. Some people find the procedure uncomfortable, but it isn’t painful. 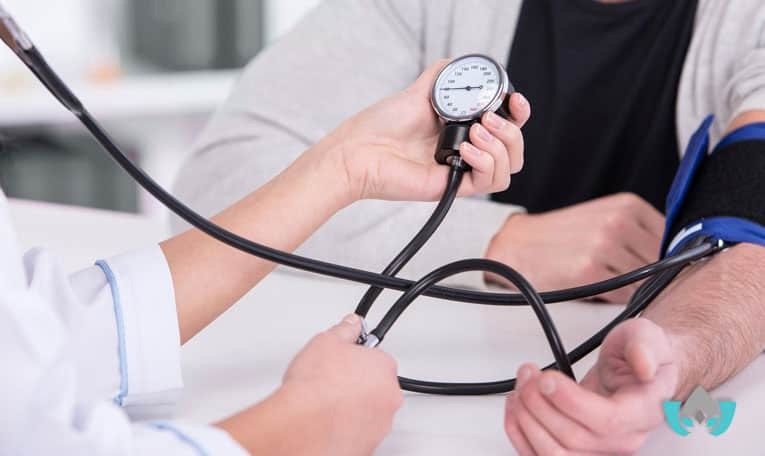 Your doctor might have you take your pressure reading at home – or possibly using a machine at your local drug store – if they suspect you have ‘white coat hypertension,’ whereby your blood pressure is only elevated due to the stress of being at the doctor’s office. If it returns to normal once you’ve left, then your blood pressure is not a cause for concern. When doing the reading, your doctor starts by inflating the cuff to a pressure higher than your systolic blood pressure. It will momentarily feel tight around your arm, but then your doctor allows it to deflate, until they can hear your blood rushing again through the stethoscope – this gives the systolic reading. Still watching the pressure gauge on the cuff, the doctor listens until the sound of pumping blood pauses, and that point gives the diastolic reading. Blood Pressure Levels – What Is Considered Healthy? I mentioned above about hypertension, but – in fact – there are different levels of hypertension. Slightly above the reading would be considered an elevated blood pressure, but then there are stages 1 and 2, and finally hypertensive crisis, which can be fatal if not treated. 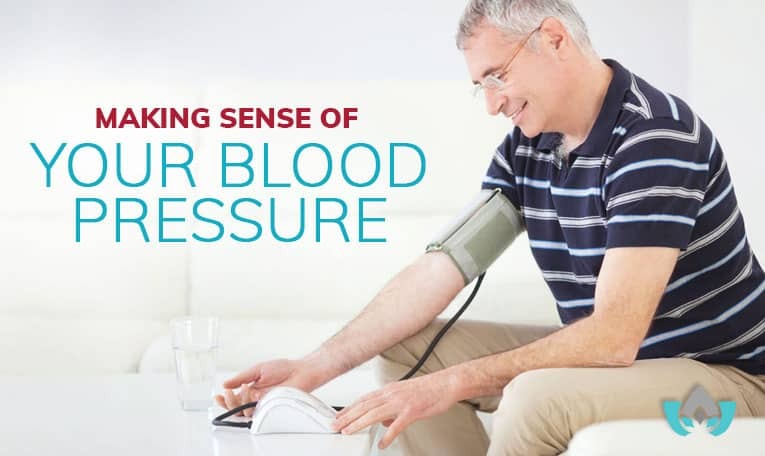 While blood pressure readings may seem complicated to the average person, they can be easy to understand with a little help. I have helped many patients adjust their lifestyle in order to correct their hypertension, and monitor their blood pressure. If you’ve been concerned with your blood pressure, call me and book an appointment, and let’s discuss if you have cause for concern or not.